We do a nice line in road bridges in Scotland. Apart from the Forth Road Bridge, not many are well known, but northern Scotland has a couple of really beautiful, yet modern and functional road bridges to offer. And the odd thing is that they are almost directly opposite each other on the east and west coasts. 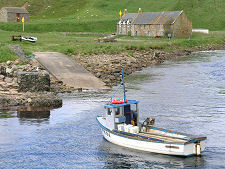 One is the wonderfully curving structure that replaced the Kylesku ferry in 1984 on the west coast of Sutherland. 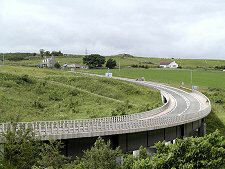 The A9 bridge at Dunbeath is equally impressive: but only when you take the trouble to look. It's quite possible that there are people reading this now who have driven across the bridge without really noticing it. Next time, give it a little more attention. Not only is the curve greater than that at Kylesku, this bridge rises significantly as you go from north to south. 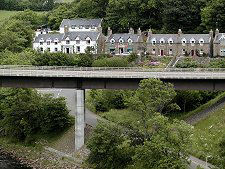 And when you've stopped to look at the bridge, take a while to explore the sleepy little hamlet of Dunbeath itself. The village was built to cash in on the herring boom in the early 1800s, with up to 100 boats operating from the harbour here. Times have changed and the herring boom is long gone. 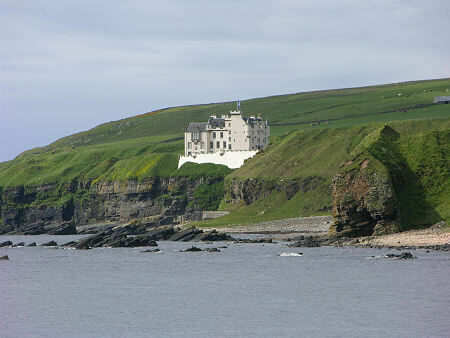 The harbour is much less active now, though it does provide an excellent viewpoint for Dunbeath Castle, perched precariously on the cliffs south of the village. Spare a thought for the poor soul who gets the job of dangling over the walls above the cliffs to repaint them. On the harbourside is an attractive statue depicting Kenn and the Salmon, celebrating the life of novelist Neil M. Gunn, He was born in Dunbeath in 1891 and played a role in the development of nationalism in Scotland in the first half of the 20th Century. 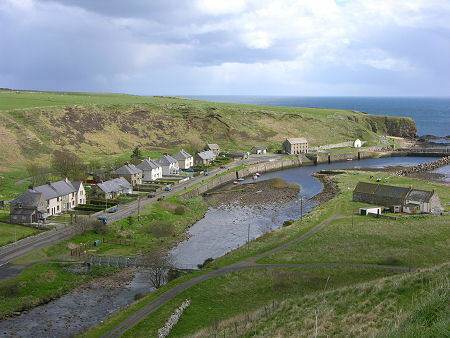 Modern Dunbeath is actually divided into three segments. 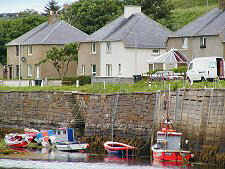 The harbour and its collection of houses and other buildings is one. 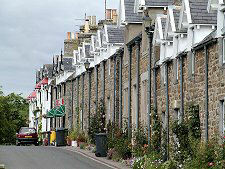 The second sits next to the northern end of the bridge and comprises a row of houses terminating in a shop and a hotel. And the third is found on the hillside on the south side of the valley and includes the excellent Dunbeath Heritage Centre. This brings to life the works of Neil M. Gunn and his relationship with the Dunbeath area in a fascinating way. Just north of Dunbeath is the Laidhay Croft Museum, recreating the experience of a crofting life now largely gone, and a few miles further north, near Latheron, is the Clan Gunn Heritage Centre and Museum, housed in a converted church. Like Dunbeath's own Heritage Centre both of these are well worth visiting, though very different to one another in style and approach. Three miles inland from Dunbeath is Eagle's Rock, the site of a poignant memorial to an air crash in 1942 that killed the Duke of Kent.